We are proud to be returning to the Just So Festival for our 10th year in a row. Stay with us and we will have your accommodation ready and awaiting your arrival. Our reception team are on hand to look after you throughout the weekend and we are pitched in in the festival boutique camping area adjacent to the festival close to the action with Hot Showers and flushing toilets just a stones throw away. 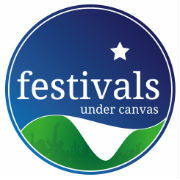 To book your yurt or bell tent for Just So with us please email your requirements including any beds, bedding or extras to bookings@festivalsundercanvas.co.uk. We will send you an invoice, payable by BACS or paypal to secure your booking.